Jungle Red Writers: Have You Got a Clue? Have You Got a Clue? RHYS BOWEN: One of the fun things about writing The Twelve Clues of Christmas was that I had to include some real and fair clues for each day of my story. And as I wrote I realized that the whole concept of clues in mystery novels has almost vanished from the genre. In the early days of mystery novels the clue was everything--Sherlock Holmes would pick up a spent match and declare that it had been used an hour ago by a one armed sailor from Malta who had a black beard. He'd work out how the speckled band came through the keyhole. But in today's crime novel the focus has shifted from the whodunit to the whydunit--to the psychological aspect of crime. I suppose we still have our clues but they are more of a forensic nature--more CSI evidence than spent matches. I don't know about you but I miss clever clues. I liked the aspect of mystery reading that pitted my wits against the writer. I liked to figure out whodunit, didn't you? So what do you think, Reds? Have clues really vanished from our current writing? Do you wish writers would use them more? LUCY BURDETTE: Writing your book sounds like so much fun Rhys! I love clues too, and I don't think they've gone out of style. Maybe changed a little to suit the times. I don't do much with forensics since all of my books involve amateur detectives--they have to make clever observations and connect the dots rather than study scientific evidence. And for me, it's challenging and fun to layer in details early in the book that will become important later. Also fun to mention details that SEEM important at the time, but turn out to be unrelated to the solution of the mystery. And what's especially rewarding is to realize I put something in that I will need later but didn't "know" it at the time. DEBORAH CROMBIE: Rhys, your clever clues were one reason I enjoyed your Twelve Clues of Christmas so much! I love clues. Reading an old young adult mystery from the early sixties that I found in my bookcase has been a good reminder as well. For most of us, wasn't it the clues that hooked us on the genre? Although I write contemporary police novels, I try to write around forensics. Forensic evidence can be used as backup, but I want my detectives to solve the crimes using observation and their skill at reading people. HANK PHILLIPPI RYAN: Oh, I'm all about clues. Since I work without an outline, I have no idea what will become a clue, so it's always a surprise to me to see how the puzzle pieces come together. Especially pieces I didn't know were the puzzle! So I think...and just contemplating this now..."clues," for me at least, come not from knowing a result and then putting in clues to get me there, but a result of creating the story as I go, like real life. And in real life clues appear--but at the time, you don't know they're clues. So in writing a mystery, you take what you have, and make those the clues. what you can use to solve the crime. Ah. See what I mean? I don't think about clues as I write but they're there. I think of them as "the thing that's there that shouldn't be" and "the thing that's not there that should." Of course some of clues turn out to be red herrings, outsmarting even me. My favorite clue from "Come and Find Me" is the cardinal that's on the fence every time Diana looks out through her security cameras. JAN BROGAN - I tend to read mysteries for character and less for the puzzle. And while I don't tend to read for clues, I appreciate that they are there where they should be when I look back after the resolution. RHYS: Jan, I think some of my favorite clues are in the behavior of a character. I sometimes wonder whether I would be able to detect a real-life murderer. I'm usually quite accurate when I watch someone on TV and they are pleading with someone to return a kidnapped child--and I absolutely know that they are responsible and the child is dead. Or a husband lamenting that his wife has run away/been kidnapped. And I knew OJ was guilty--didn't you? 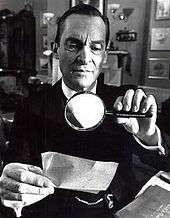 I do enjoy the new Sherlock and the way the internet and smart phones have been introduced into his detection methods. But I'm glad that my mysteries take place in the past so that I don't have to worry about updating CSI and know about blood spatters. So all you mystery readers out there--what do feel about clues in our novels? 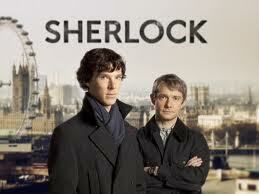 Do you miss the clues of Sherlock Holmes and Dame Agatha? Do you get annoyed when authors don't play fair? I don't really care one way or the other about the inclusion of clues . . . if the story and characters are believable and compelling, then it's all good. I like your comment about the behavior of characters being clues. Very true! I, too, think that is it the concept of "clues" that first hooks readers on the mystery genre. I remember reading the Christie books and trying to figure out what the detectives were on to before they revealed it. (Of course, I failed more often than not, but that made the reveal even more exciting). Clues do still exist, but they take on many different forms nowadays. I think they are move "obvious" in amateur detective novels, just by the nature of the characters. I would say that Louise Penny still maintains the tradition of the clue in her books which could be part of her success (besides incredible characters and impeccable writing). The clues in Rhys' book are very clever and made the book seem like a "classic" read, for lack of a better word. I like clues, but not necessarily physical ones. Like you and Ramona, the idea of a character's behavior is appealing. Thinking on the stories I've written - amateur and police procedural - I think I've relied more on the non-physical clues and forensics. As a reader, I don't need a slew of clues, but I do need engaging characters. I think sometimes I'm more interested in watching the character try to figure something out than actually figuring it out myself - especially if I'm emotionally invested in the character. I'm in the middle of that first, giant, ugly, messy draft of a book ... and this post has caused me to panic over whether I have any clues at all! I think what's gone out of fashion is the holding up of a clue and saying, "Aha! A clue!" (Rhys, I'm saving your Twelve Clues for my vacation next week!) We don't get the suspects in the room anymore with Poirot elucidating every true-and-false clue, nor Sherlock explaining the same to Watson. But every protagonist has to have enough pointers to the truth, even if they're cardinals on a fence, inappropriate reactions to news, or the burnt match. I'm always a little surprised when a friend will say "and I knew who did it pretty early in the story." It brings me up short because I never try to figure out who did it. I get caught up in the story, and fall in love (or hate) with characters, and dwell, for a short while, in the sense of place (if it's done well). And I savor words and how perfectly they're used. Then sometimes once I've finished the book I will sit back and think about it and consider the clues - all of which I guess I missed - but through no fault of the author, just by nature of how I read. Love Tammys description of a draft: "giant, ugly, messy..." I'm looking forward to getting to the "giant" part with my WIP. So far just ugly and messy. I like the clues to be subtle, so that I might notice (and feel clever) or might not notice and be surprised. I don't like it when the clues are obvious and the main character ignores them and gets in trouble because of it. I guess I want the sleuth to be a bit more clever than I am . . . I like clues also. The problem is I figure out the murderer almost as soon as they are introduced into the story. Obvious clues/suspects are a giveaway that they are not important. Writers, make your stories harder to figure out. I'm with you. That's how I read. And Tammy don't worry. I think some of the most subtle clues are the ones you come up with at the end and slip into place on the second draft. Now, does anyone have a clue about Capsha? Some days I type if something that barely resembles and it goes through, other days, I swear I get each one EXACTLY right and it stops me. It's one of the latter today. When I was a youngster and reading mysteries, I got wrapped up in the clues and always tried to guess "who done it". Often, I was correct and that was a delight to me. Now, I get wrapped up in character analysis and motive. I don't especially care who the villain is. I just want a good story with decent clues and interesting characters and motives. Historical mysteries interest me because I always find myself learning something new while being entertained. I also enjoy mysteries set in another part of the country or in a whole other country, and mysteries featuring anthropologists or archaeologists or people in the arts. (Hmmm; I just noticed that the letter A plays a big part in my reading preferences!) I think my personal theme is the desire to learn something while I am reading,and it really does not matter what it is that I learn. I felt as though I lived and breathed rowing when reading No Mark Upon Her and I felt like I was part of the lives of all the characters. Never mind that I also believed that I was on the river! I'm a character and whydunnit person, myself. Like many others, I like going on the journey and not trying to figure anything out. What annoys me is when I correctly guess the murderer despite that. Sometimes it's too obvious, but I can't help but wonder if that's because, as I writer, I study the genre. Rhys, just finished reading TWELVE CLUES. I was going to wait until closer to Christmas, but I couldn't help myself! It was a pleasure to meet you at the Powell's reading. Now I'm curious enough to go back and reread it for the clues you dropped into the story! Deb Romano, I read the way you do, and especially like all those "A" subjects:-) We must be reading-soul-sisters, so I'm especially glad that you liked No Mark Upon Her. I always think of Reginald Hill when discussing clues/plot. He was such a master. The clues were never obvious as clues, and I could never guess whodunit. But when you got to the end of the book you could see that it was all laid out and you just didn't see it. It's all in misdirection. I like puzzles, so getting hints along the way which help me figure out a puzzle ----those are good things. If you're like me, you've always got a "Clue" and she's a 90 lb Golden Retriever who just wants to sit on your lap. Her name is short for "hasn't got a Clue." I much prefer it when authors give me clues, especially when they manage to obscure them or make them seem unimportant. Nothing infuriates me more than to find that the author (and usually that means the detective) have been hiding important information from me. When the clues are there in the text, however unimportant or "passing-mention" they may be, I feel that the author has played fair with me. The British grande dames were all good at this: Christie, Sayers, Marsh, and usually Allingham and Tey as well. Interestingly, many cozy authors seem to play fair as well, perhaps because Christie more-or-less set the standard. And while so far I've only read books by Deborah Crombie and Rhys Bowen among the Reds (I think), it seems as though you ladies deal fairly with the readers as well -- for which I am very grateful! Agreed, Anonymous: Hold the deus from the machina. I like a clue you don't know is there until much later... like at the end of The Sixth Sense, if you go back and watch the scenes of him with his wife, there are clues all over the place that he's not really "there." Subtle. I love that. I'm pretty much with Jan on this--I fell in love with mysteries because of the characterization--is it something ABOUT the mystery structure that lets writers play with characters?--and my favorites just keep developing that characterization more and more over the series. BUT...as a writer, if not a reader, I do love going back--once I know the solution--and seeing how the author has laid out those clues, how they've put them on the page in a way that we COULD see them, but if they've done it skillfully, we DON'T see them. I have to say that I think Agatha Christie was the master of this. Hallie, thanks for the Hardy Boys ref! Elaine Viets on Bloodthirsty Cozies. Happy Thanksgiving - it's all in the writing! The Eggs and I ..or, not. New England Crime Bake Rocks! Were We Smokin' or What: 80s "Fashion"
What would Dennis Lehane wear?